As a student, I am constantly going to be lazy, busy, or both. So what’s a girl to do when her stomach complains? 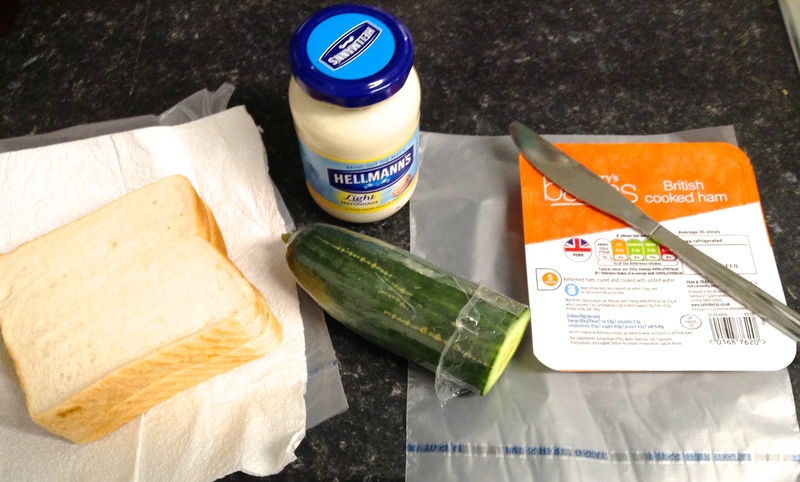 Introducing The 2 Minute Sandwich! (Also sometimes known as a cucumber sandwich.) Which I actually did in two minutes and thirty-eight seconds according to the timer, but I’m rounding it. Perfect for when you need something to eat while working on an essay, reading a comic book, or running late to class and hadn’t packed a lunch the night before! 4 slices of pre-sliced, ready-to-eat meat. – I chose ham. “British Ham” according to the packet. Not sure how that’s different from regular ham, but whatever. Step 1. 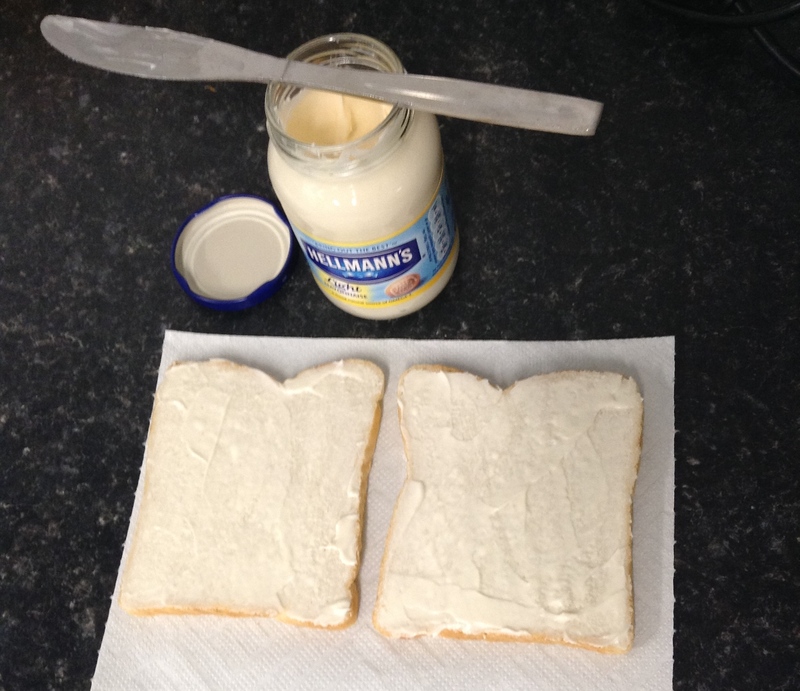 Put mayonnaise on one side of each slice of bread. See example above. Step 2. 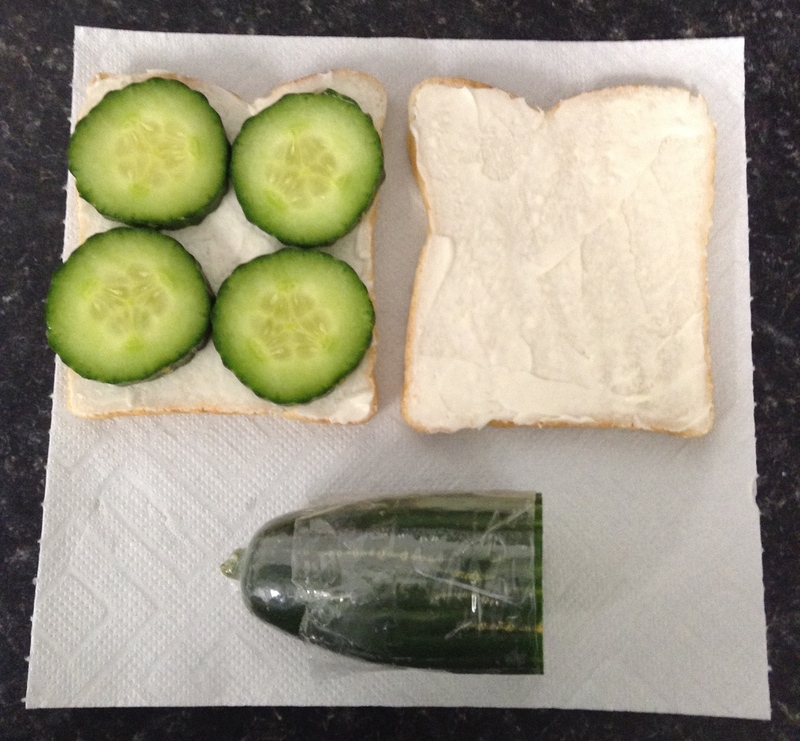 Put cucumber slices on one of the bread slices. See example above. Step 3. Put meat on cucumbers. 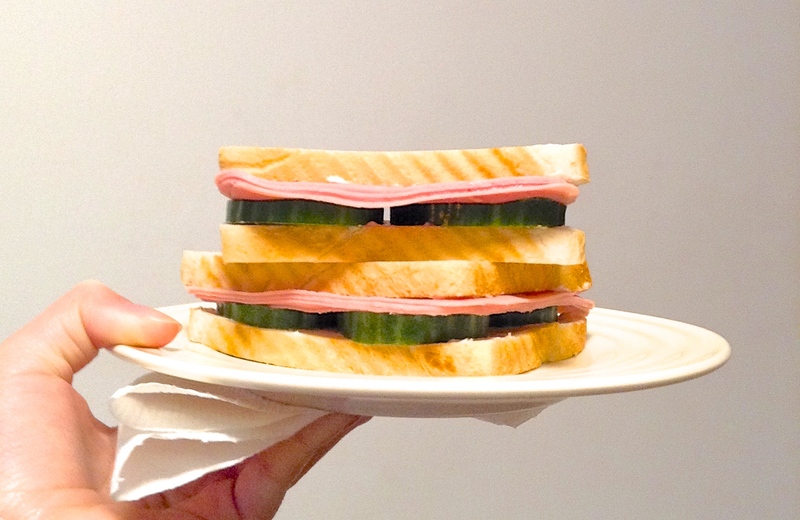 I put it on the bread for the sake of the picture, but really, it just makes more sense to put it on the cucumbers. 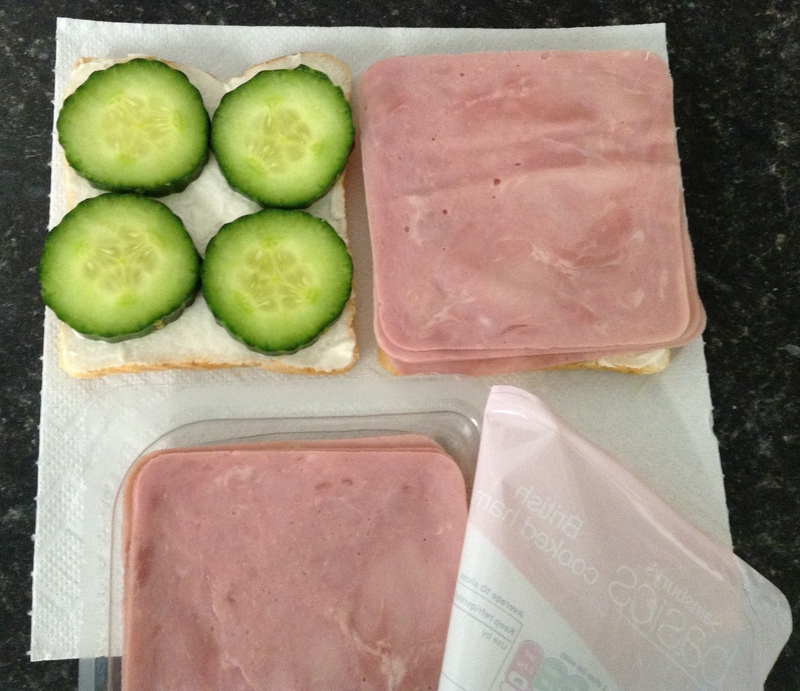 I used four British ham slices, but you can add more or less.